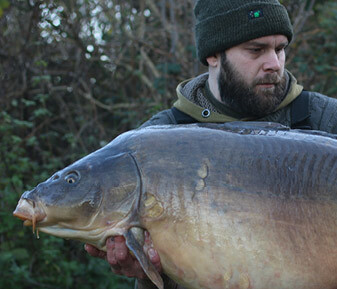 Luke Wallace’s Winter roll continues into the Spring of 2018. 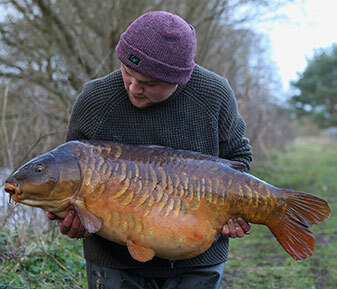 It would be safe to say that Luke Wallace has had a dream start to 2018! 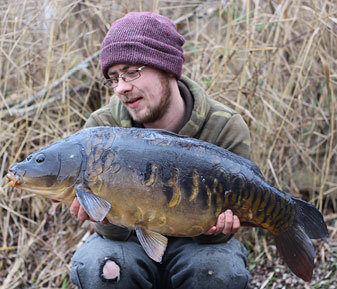 Off to a flying start on a New Year social trip to Sandhurst Lakes, Luke fished the famous Pipe Swim, right into the teeth of a fierce atlantic storm that swept over the country that first week of January. 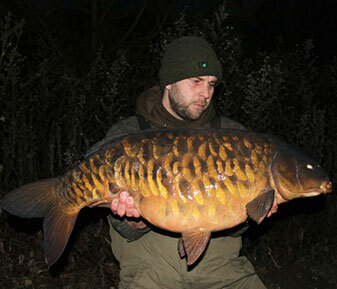 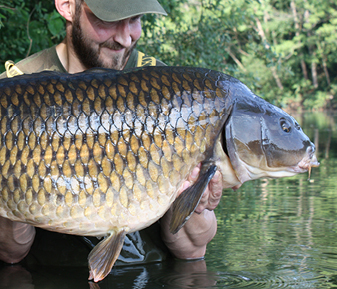 Catching a good few carp over the next few nights, he ended the trip with a huge January common of 42lb+! 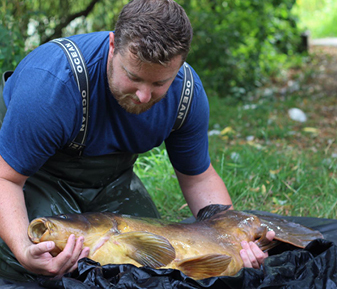 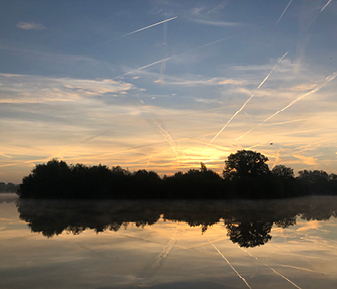 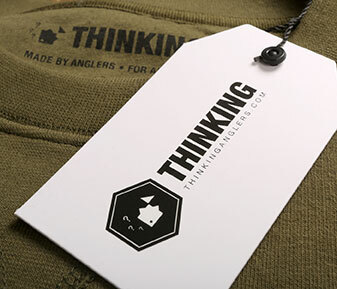 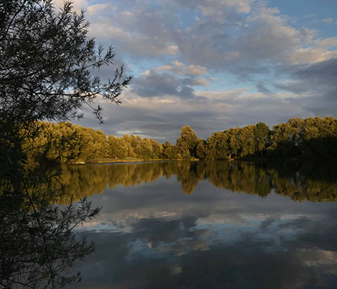 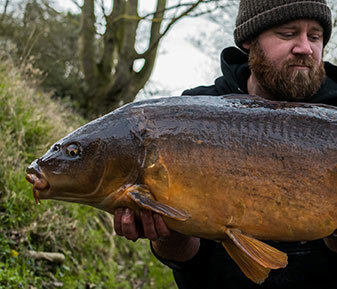 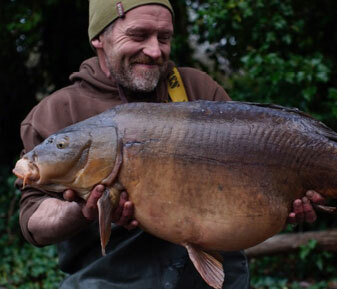 A small, deep local venue was next in line for Luke’s attention, over the following few weeks he landed over a dozen cold water stunners for his efforts, angling for the most part, in fairly adverse conditions. 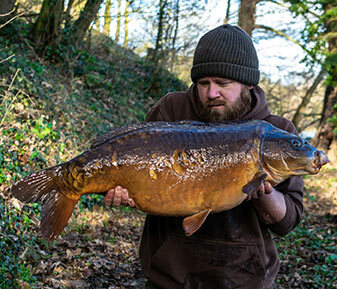 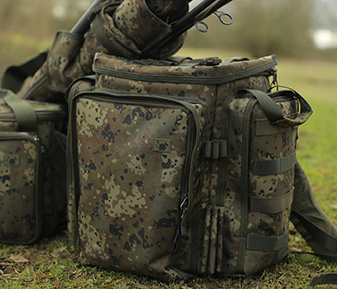 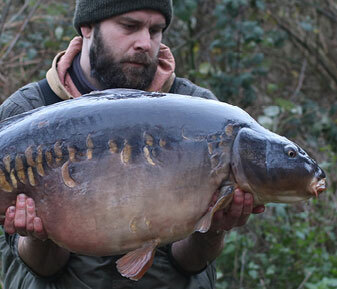 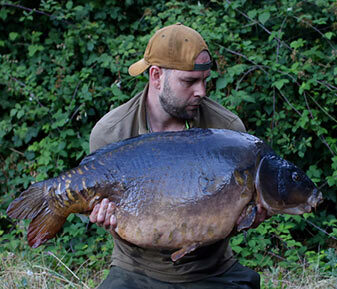 Moving more up-to-date now, as winter moved slowly into Spring, his local syndicate water was starting to come to life. 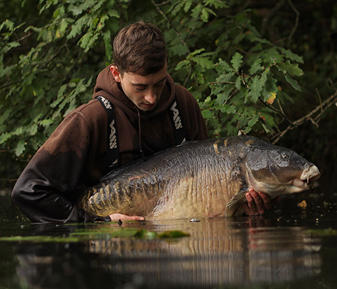 Noticing the signs, Luke began to bait the areas he was seeing fish regularly and it all slowly began to unfold. 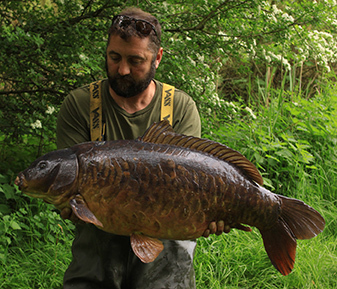 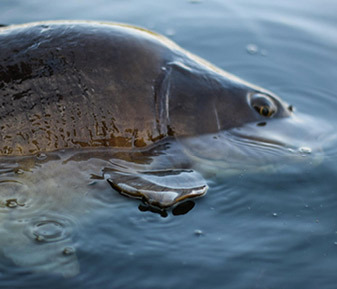 A few of the smaller residents tripped up to begin with which was encouraging and as the water gradually warmed up, the shallow areas began to be frequented by the carp. 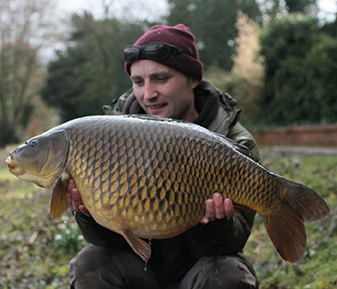 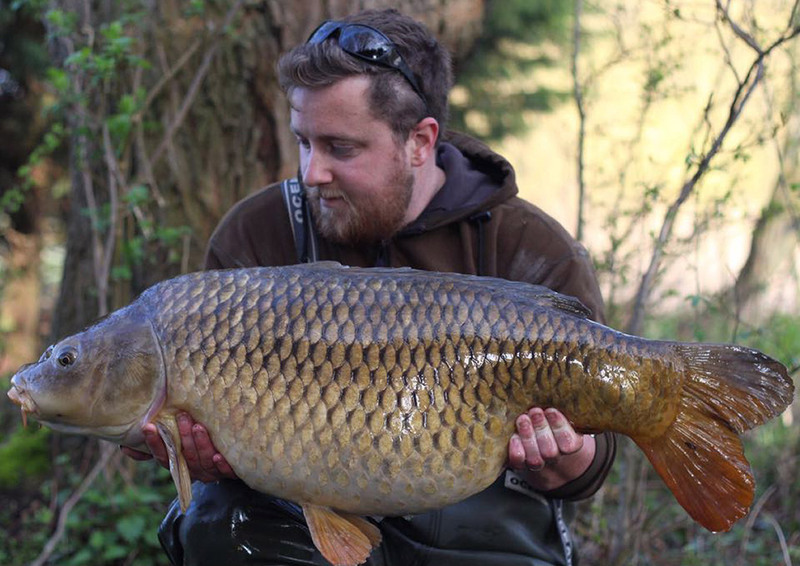 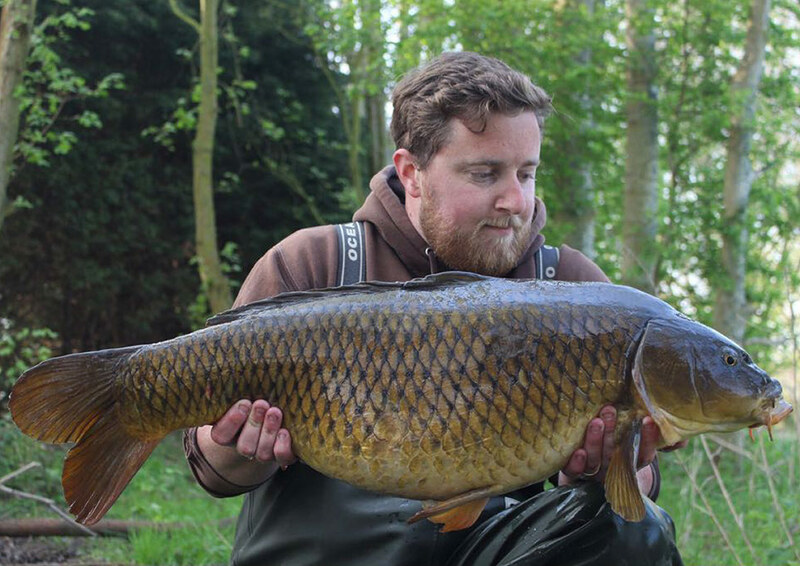 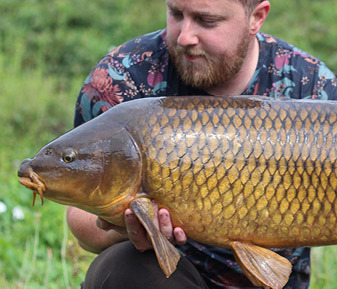 Seeing his opportunity, Luke dropped in for a couple of day sessions applying some bait and the following weekend the lakes big common fell to a carefully placed rig. 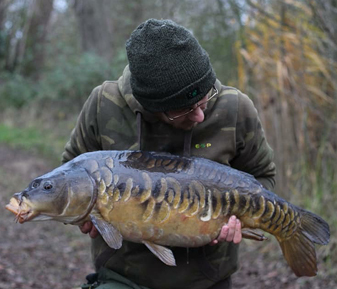 The best was yet to come though and seeing a warm weather front moving across the country, Luke booked in a weekend session that was to be hectic to say the least! 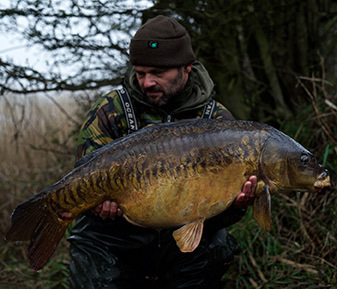 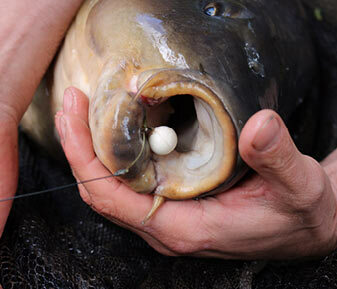 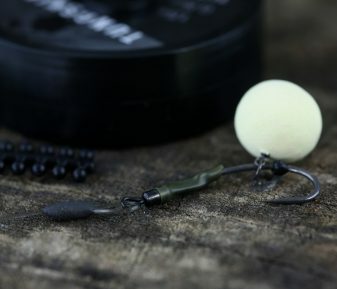 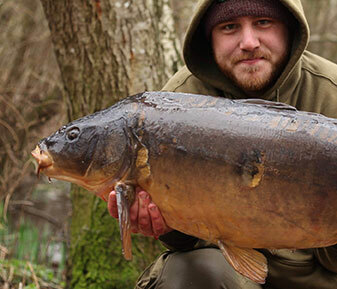 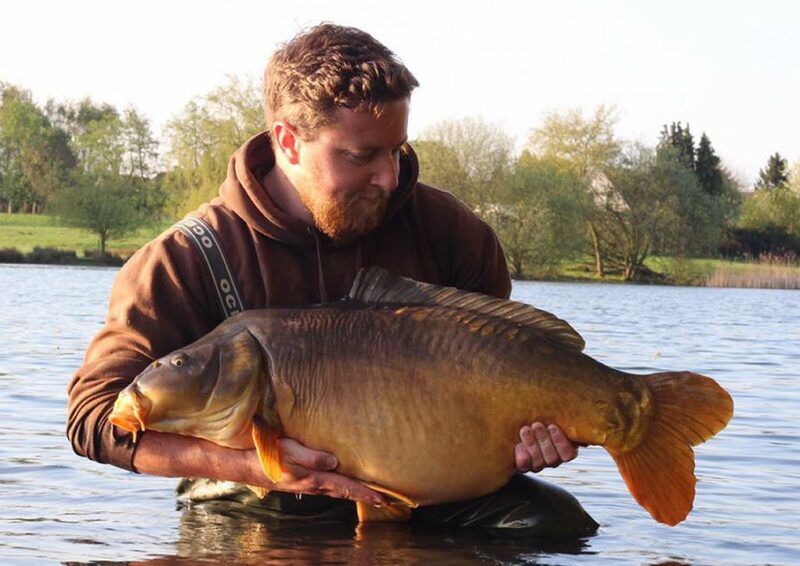 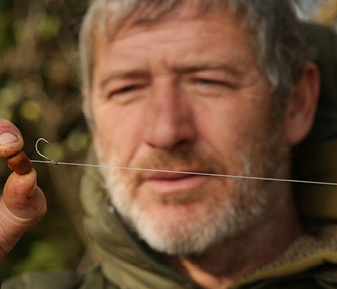 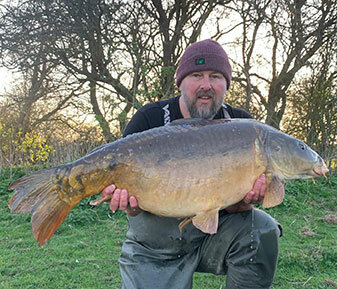 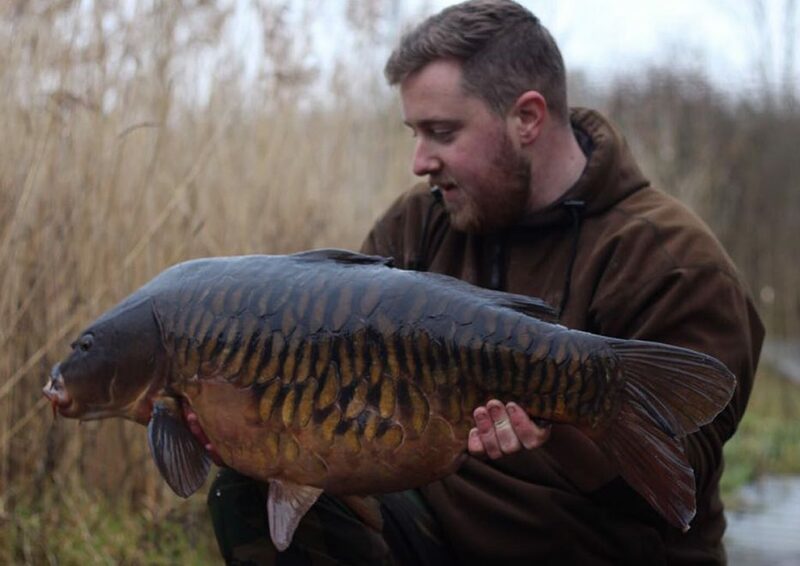 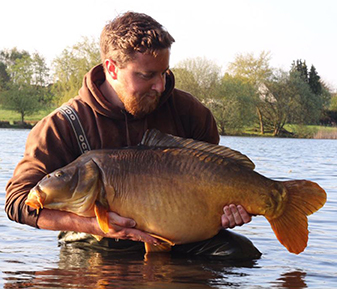 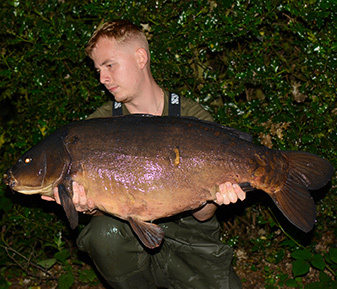 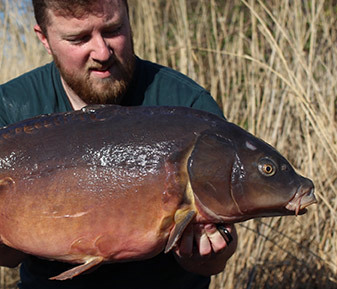 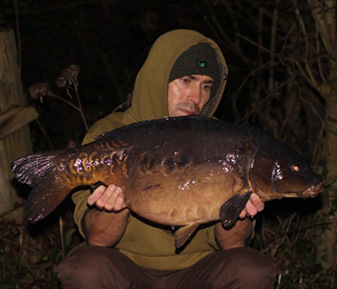 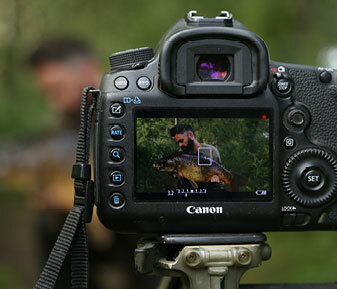 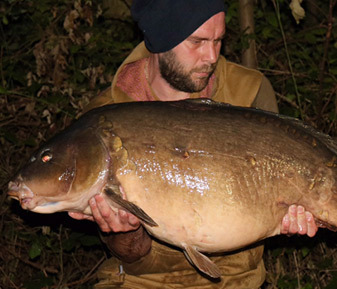 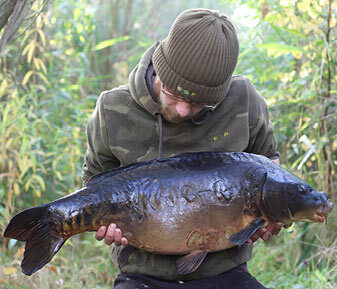 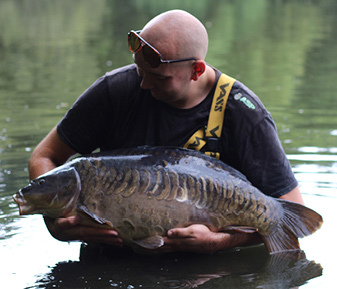 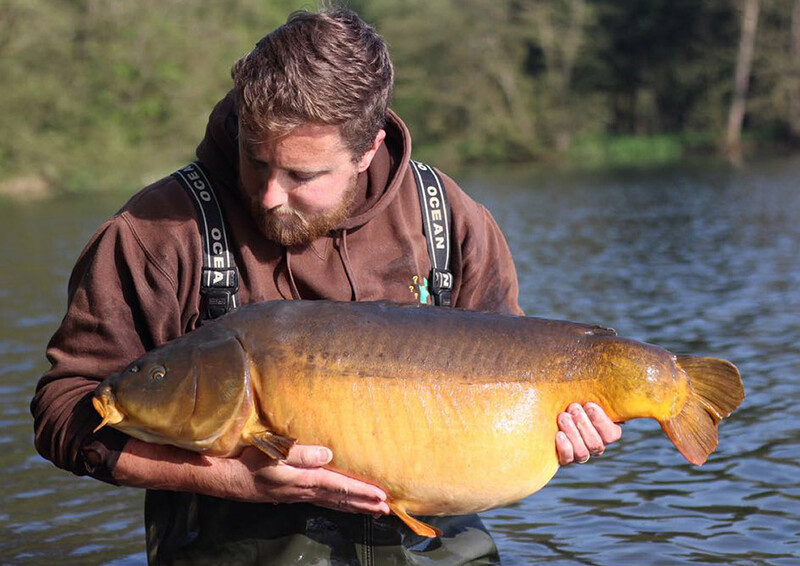 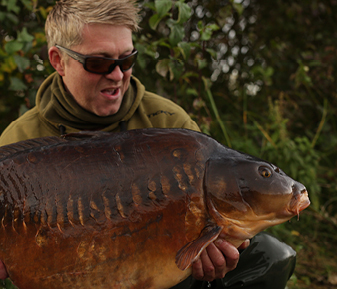 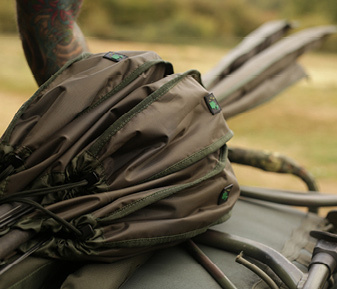 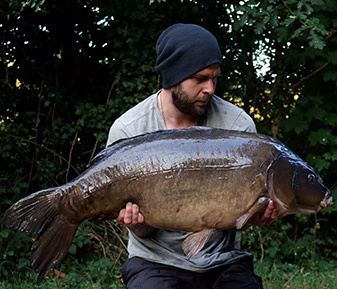 Fishing his trusted Tungskin D-rigs, with Sticky Manilla wafters mounted on hook ring swivels, Luke managed no less than 13 bites over the following two nights! 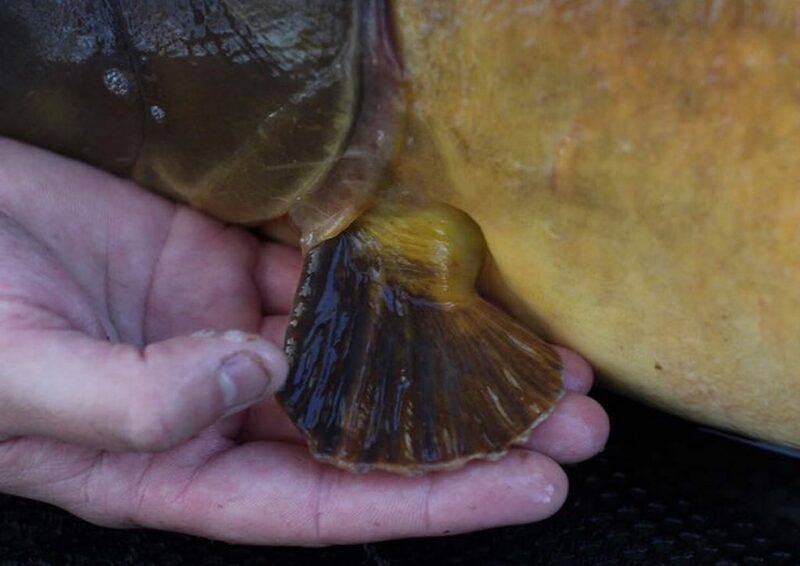 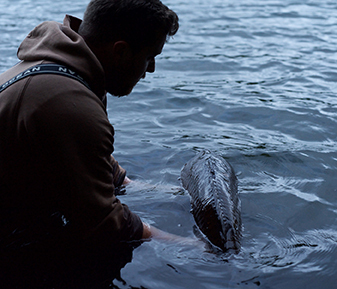 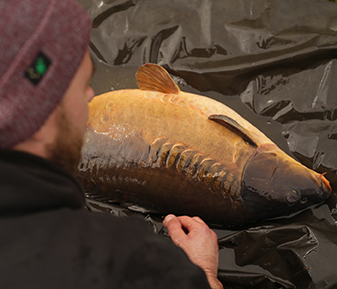 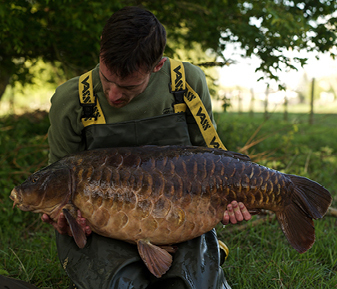 Topping up the spots with corn and manilla crumb after each spell of action, Luke caught some very special old carp that weekend including a rare old Kent leather with a dear little tenchy tail. 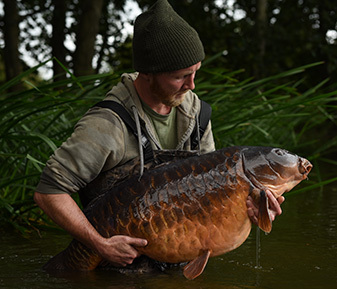 A real corker and the cherry on the cake so to speak – It has certainly turned out to be quite a year so far and we’re certain to be hearing more from Luke in the coming months.